This Sunday the official release party for This Leo Sunrise’s new album Do Not Always See will take place in De Vechtclub XL, Utrecht. Quinten Swagerman (who also made the artwork for the album) will provide visuals during the show. Dreampop folkies Boyle are playing too, and so is Danielle Liebeskind (spoken word / noise / weird stuff from Barreuh Records). 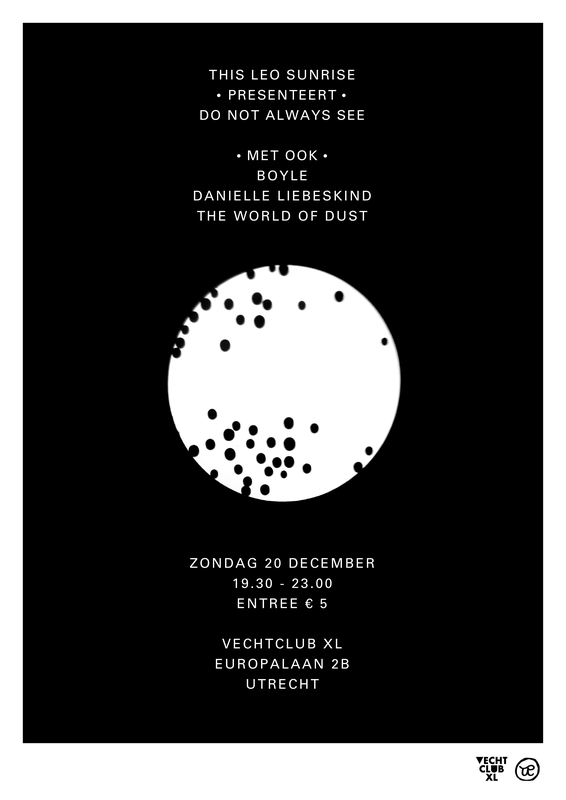 The World of Dust prepared a special synthesizer-only show for this occasion. So, a great (and big) line-up, for only 5 euros. Viva la Underground!